Do you struggle with circumstantial happiness? Every week I meet people who are pouring a heroic amount of energy into doctoring a “perfect circumstance” for their lives —only to find out that, once they achieve these circumstances, it leaves them just as empty. Thus, in my book Broken Escalators I called this behavior The California Myth — “the misguided notion that Happiness is a Circumstantial or Locational Problem” (Myth #4). Quite simply, happiness is not a circumstance or place we arrive at. It’s a place of submission to the One who controls our happiness (Ecc.6:2). Why is it called the “California Myth?” Over the years, we’ve heard hundreds of songs and movies implying that “life in California is happier.” The girls are “prettier.” Everyone lives on a beach next to a celebrity. Of course, we all know that most Californians are stuck on the freeway, heading to their 3rd job to pay for their overpriced apartment (Most of my California friends would admit this : ) On top of this, no reliable statistical evidence exists to show that Californians are actually happier than anyone else (which I expound on in my book). You see, we’re all prone to idealize things. In the end, “[our souls] find rest in God alone” (Psm 62:1). Only gratitude and grace can keep us happy. 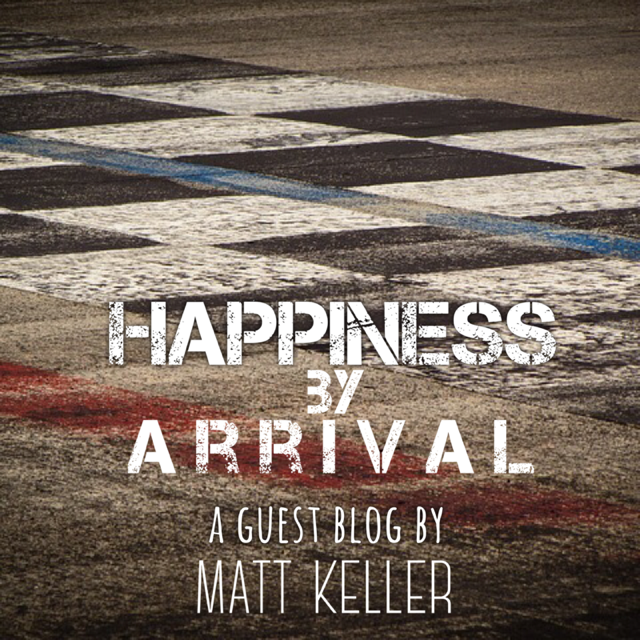 And to illustrate this, one of my close pastor friends, Matt Keller wrote an amazing guest blog that exemplifies this. “When our church was five years old, and averaged about 450 in attendance, I remember gearing up for our biggest Easter services ever. We were portable and meeting in high school and doing two services at the time. I’ll never forget, we pulled out all of the stops. We leveraged everything we could, generated as much buzz as we possibly could in our community, and told everyone to invite their friends and family like never before. Sure enough, on that Easter Sunday, we had 703 people in attendance! (Trust me, I can still remember the exact number. Every church planter understands…) Not to mention, we had dozens of people raise their hands to receive Jesus Christ as their personal Savior. It was absolutely euphoric. It was truly a day for the books! In just five short years, God had taken us from 4 people in a coffee shop to now 703 people in attendance. And it felt incredible. Can you believe that? It only took five minutes for the euphoria of setting an all-time attendance record to wear off. That’s just like human nature, isn’t it? Whenever we reach a goal line, we always seem to move it as quickly as we reach it. In Peter’s book, Broken Escalators, he talks about the Myth #4 – the idea that happiness is somehow connected to circumstances. In that moment, on that day, sitting in my office above Outback Steakhouse, I was unfortunately convinced that my happiness was somehow tied to an attendance number. Sadly, I talk to so many leaders who fall into the same trap all the time. They somehow believe, unconsciously, that reaching a goal, hitting an attendance number, or finishing a project will somehow make them happier. But Happiness-by-Arrival is a myth. The goal for us as leaders, and for us as followers of Jesus, is to find our happiness and sufficiency in what Jesus Christ accomplished for us on the cross. Looking to our circumstances, or anything else, will only leave us wanting and quickly moving the goal line, eager for the next high. Heavenly Father, help us find our contentment in you alone – not family, not some illusion of success… only you. In Jesus’ name, amen. By the Way: If you want to hear more from Matt Keller, Matt just released a brilliant book called “The Key to Everything” available everywhere books are sold. 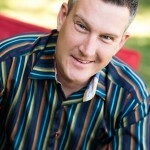 He also writes weekly at www.MattKellerOnline.com and releases weekly podcasts through Next Level Church in Fort Myers, FL.